Progress on the Ensign has been quite slow recently, due to the time involved reassembling all the fiddly bits on the car. 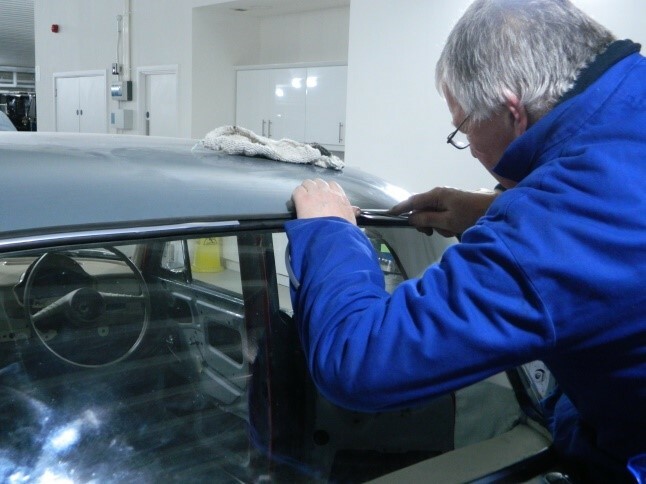 Everything was photographed when the car was originally stripped down and this pictorial record, plus the extensive workshop manual we acquired have proved invaluable as the rebuild has progressed. 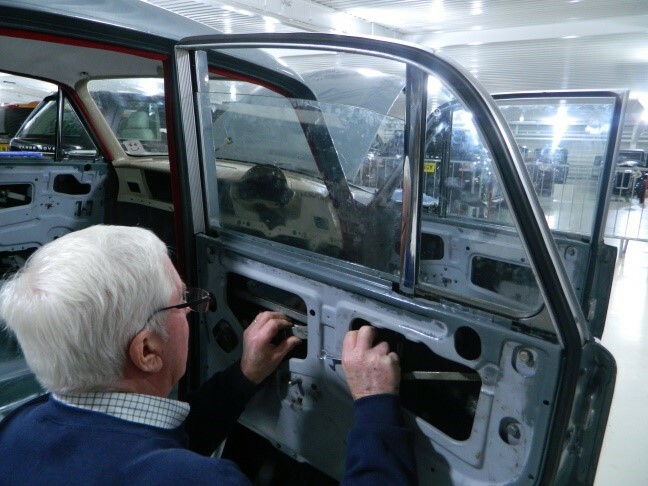 The fitting of things like door seals, lock mechanisms, wiring looms, brake pipes, steering column and engine ancillaries has taken many hours. 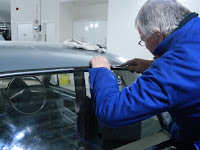 Even what should have been the fairly straightforward job of refitting the front and rear windscreens was not without its problems. 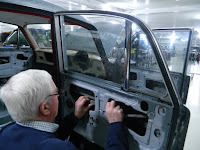 New rubber seals had to be sourced and then cut and the actual fitting process required a bit of expert help from the Museum’s workshop staff. However, the most encouraging news on the project for some time has been that the engine, now installed with all its ancillaries, was at last fired up recently for a short period. Just to recap the engine is a 1670cc OHV straight four, which we believe had done around 83,000 miles. The block had a slight crack, which we’ve had professionally repaired and new pistons and rings have been fitted. A new water pump was required and the original radiator was refurbished with a new core. Given that the car currently resides on the first floor of the Collections Centre a further running and testing of the engine won’t be possible until we can move it into the workshop. The fact that it appears to work OK, has been good for morale.